At the Alberta Street Pub on Wednesday, November 16th @ 9 pm Ian Christensen will be celebrating the release of his debut record as a leader on the PJCE Records label. He is sharing the bill with George Colligan’s energetic chord-less quartet, Theoretical Planets. Please join the PJCE family at this event that will take you on a exploration of tone, time, and melody. 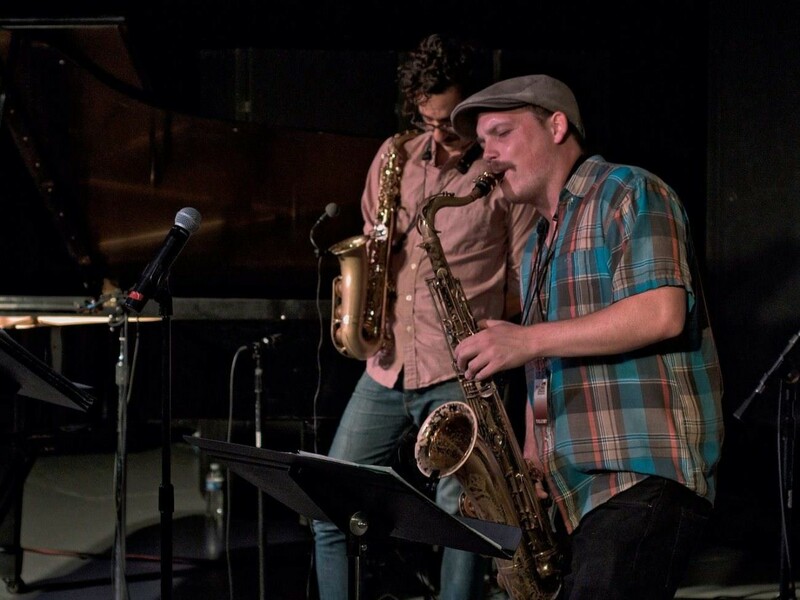 Finding, the debut album from tenor saxophonist Ian Christensen, takes its time unfolding. Without relying on gimmicks or flashy pyrotechnics, Christensen and his esteemed colleagues carve a winding yet deliberate path through a diverse set of original music. Finding brings you bare-bones jazz, free-wheeling avant-garde romps, and classical lyricism, all featuring some of Portland’s finest improvisers in pared-down, intimate formations. Finding is a journey, a constantly-evolving sonic dialogue between friends that will surely surprise, delight, and intrigue any fan of modern improvised music.